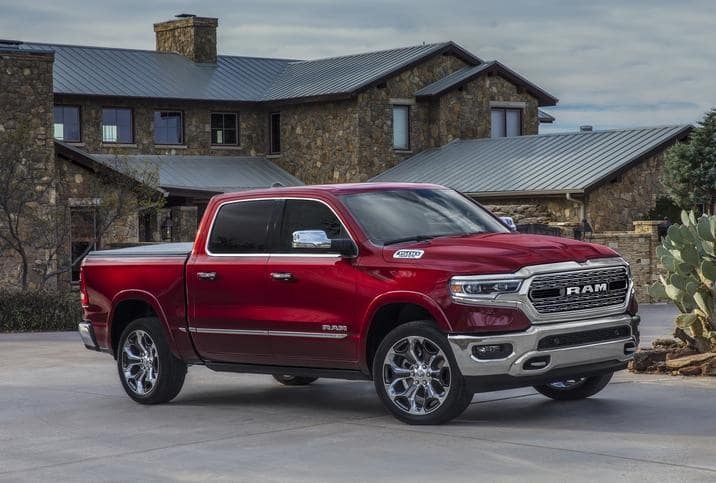 With an overall weight reduction of almost 225 pounds, the new 2019 Ram 1500 boasts the most efficient frame in the segment, which is 100 pounds lighter and features 98 percent high-strength steel for better durability, as well as improved weight and rigidity for more precise handling. Add to that a next generation, class-exclusive air suspension and you get a tough truck that offers enhanced fuel efficiency and greater off-road capability, load-leveling, and entry/exit convenience. Ram makes another improvement to power and efficiency in the 2019 Ram 1500 with an eTorque mild hybrid system available on two engine options. This fuel efficient system provides a substantial boost the vehicle torque, as well as enabling a start/stop function, short-term torque assist, and brake energy regeneration. The new Ram 1500 also comes with a new generation of TorqueFlite eight-speed automatic transmissions that add to the efficiency and provide more powerful control computers. When it comes to safety, the new 2019 Ram 1500 comes packed with over 100 safety and security features to make sure you get where you need to go safely and easily. Drive with confidence with Ready-Alert Braking with Trailer-sway Damping control, a 360-degree Surround View Camera with bird’s eye perspective, Adaptive Cruise Control, ParkSense Parallel/Perpendicular Park that uses ultrasonic sensors to help with technical maneuvers. The innovative features don’t stop there. 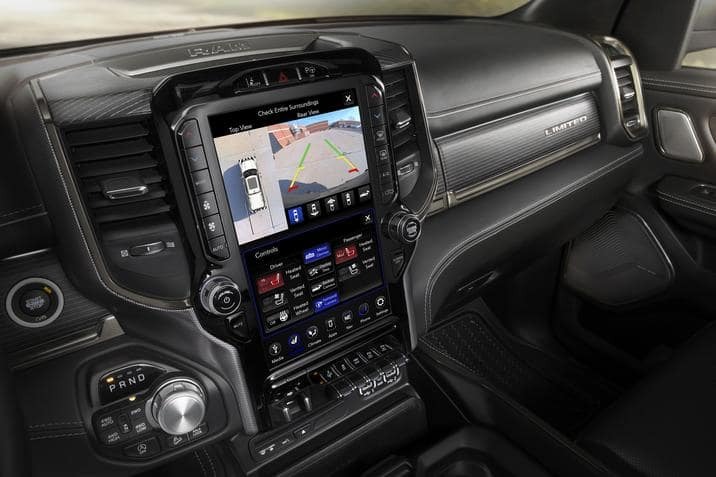 The new Ram 1500 is set to come out with the all new, fourth generation Uconnect® system and a class-exclusive 12-inch reconfigurable touchscreen display with split-screen capability for dual-application operation. Not only that, but you can also enjoy the available 19 premium speaker Harman Kardon audio system, the most powerful audio system ever available in a pickup, as well as advanced in-vehicle connected services like 4G Wi-Fi hotspot capability, and Android Auto and Apple CarPlay connectivity. 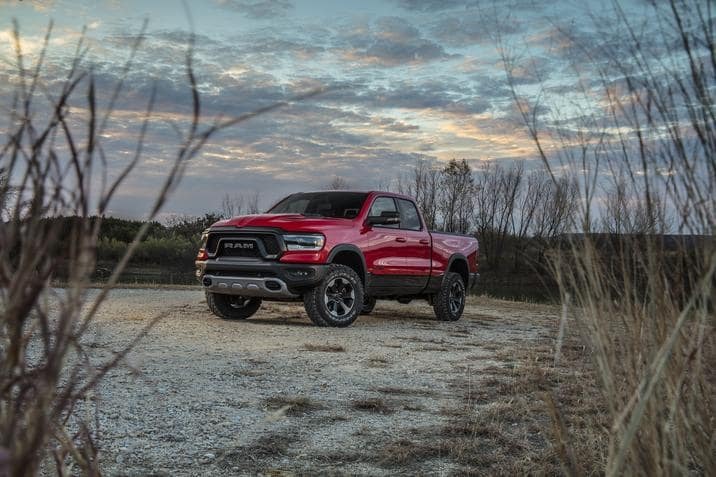 The all-new 2019 Ram 1500 may not be hitting the market until later this year, but we here at Royal Gate Dodge will be more than happy to let you in on all of the latest news and information until then. Contact us now with any questions, or make the short drive down and visit our dealership in Ellisville, MO. 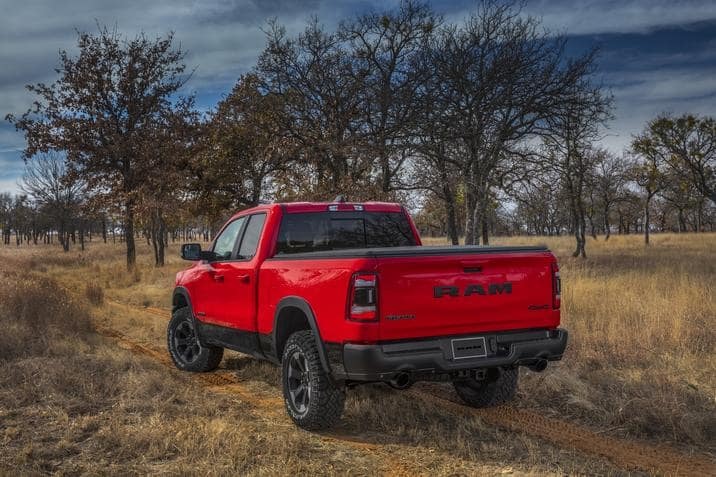 We carry a wide selection of new vehicles, including a large inventory of new Ram models, and our team of experts is standing by, ready to help you get into your dream car, truck, or vehicle today!